The official weigh-ins for “UFC on FUEL TV: Gustafsson vs. Silva” take place today inside Ericsson Globe Arena in Stockholm, Sweden. Stream Friday’s weight contest live right here on 5thRound.com starting at 10AM ET/7AM PT. 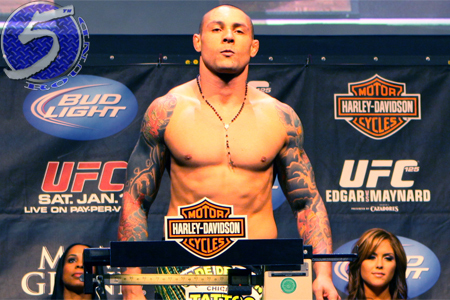 Thiago Silva (Pictured) makes his return to the Octagon after serving a year-long steroid suspension to face hometown hero Alexander Gustafsson in the show’s featured fight. A middleweight tussle with Brian Stann and Alessio Sakara serves as the night’s co-main attraction.